"Karni Bhawan Palace, one of the best heritage hotels in Bikaner, is known for offering flawless hospitality services and a comfortable stay amid world-class comforts. 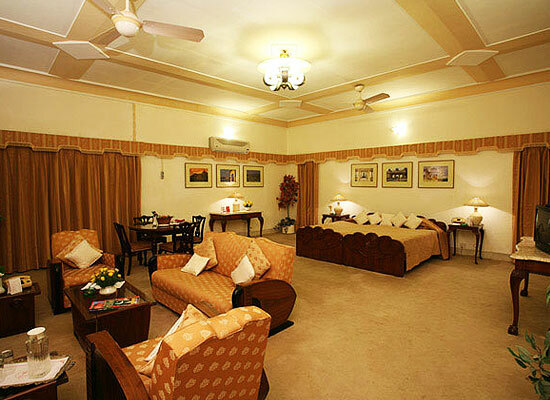 The palace has huge rooms well-fitted with contemporary facilities. The on-site restaurant and bar serve sumptuous and finest of drinks. The interior and exterior of the hotel are wonderful. A stay here would be memorable experience. Home to the Maharaja of Bikaner, Maharaja Karni Singh, Karni Bhawan Palace was commissioned in the deluxe art deco style that was famous in Europe and the United States in the 1940s. The huge windows, Doric styled pillars and festooned staircases is the architectural marvel of those times. Old photographs of the royal homes of Mewar and Bikaner, beautiful paintings and antique furniture add a distinct charm to the ambiance. Karni Bhawan Palace in Bikaner, a celebrated hotel in the class of Heritage Hotels of Bikaner, offers lavish accommodation to its guests. Every room of this hotel depicts an individual style in addition to offering spacious accommodation to the boarders. Karni Bhawan Palace’s interiors are a witness to the structures prevalent during the 1940’s. 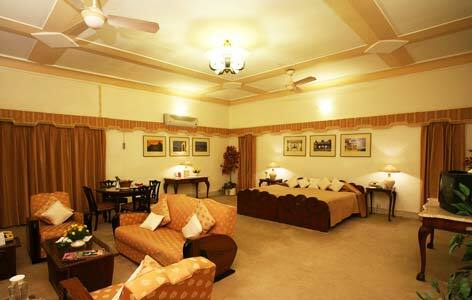 All the rooms of Karni Bhawan Palace, Bikaner come fitted with contemporary facilities like. At Manwar, the multi cuisine restaurant in Karni Bhawan Palace Hotel, you may relish delicious Continental as well as Indian cuisine. 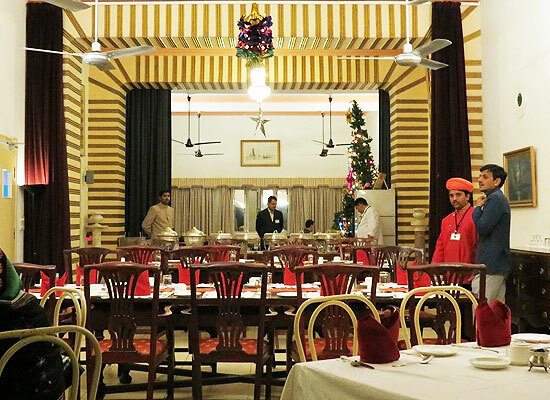 Rajasthani food tagged under Indian cuisine is also a major attraction at this hotel. You may also head to the well stocked Maikada Bar which offers Indian and Foreign Liquor to the guests. Guests at Karni Bhawan Palace Hotel have the chance of enjoying Camel, Desert and Jeep safaris, Puppet shows in addition to Camel rides. You may also sweat out playing a game of Volley Ball and Badminton. If indoor games are preferred by you, Carom and Playing Cards would give you good company. 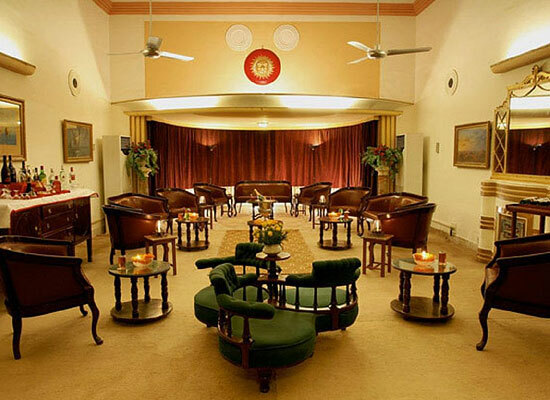 There are many attractive places in and around the city of Bikaner. Some places that draw a lot of tourists consist of The Har Mandir, Lalgadh Palace, Ganga Golden Jubilee Museum, Camel Breeding Farms, Fort Museum, Bhandeshwar as well as Sandeshwar Jain Temples and Junagarh Fort. Bikaner is also pretty renowned for its fairs and festivals.